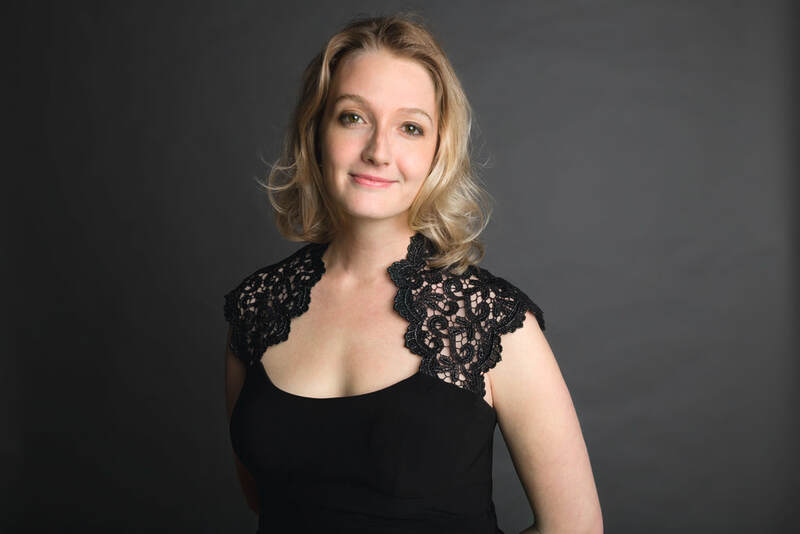 Christina Wright-Ivanova, hailed by critics as “a brilliant pianist” (Wiener Zeitung, Vienna) and “an ideal partner” (Huffington Post), is currently Assistant Professor of Music and the Coordinator of Piano/Collaborative Piano at Keene State College, New Hampshire. Dr. Wright-Ivanova has significant experience as both an instrumental and vocal collaborative artist, and frequently performs solo recitals with a special focus on new music. Currently living in Boston, she is on faculty at New England Conservatory’s Summer Institute for Contemporary Performance Practice and has previously worked at Dolora Zajick’s Institute for Young Dramatic Voices, the Boston University School of Music and the BU Tanglewood Institute Opera Intensive (BUTI), American Institute for Musical Studies in Graz, Austria, and at the Franco-American Vocal Academy (FAVA) in Salzburg. She was also previously Assistant Professor of Music at the University of Nevada, Las Vegas, where she was the Opera Coach for UNLV’s Opera Theatre. She has performed as a chamber musician throughout the USA, Australia, UK, Europe, Canada, China and South America, appearing in recital with many established artists, including Tchaikovsky Competition Bronze medal cellist Bion Tsang, virtuoso violinist Yevgeny Kutik, Israel Philharmonic violinist Sharon Cohen, and Joachim International Violin competition winner Dami Kim. As a Guest Pianist-in-Residence with Venezuela’s classical music program, El Sistema, she taught classes, worked with emerging young artists and was interviewed on TV, newspaper, and radio broadcasts throughout the country. A critically-acclaimed CD with violinist Kathrin ten Hagen entitled 'Eastern Impressions' was released under the German label, ARS Produktion. She has been heard on Deutschland Radio, WDR3 Kultur Radio, Bayerischer Rundfunk (BR Klassik, Munich), Radio Caracas (Venezuela), WORD Madison, WRUV Radio Vermont, and Norddeutscher Rundfunk (NDR). She also recorded a series of demos for Jonny Greenwood’s (Radiohead) soundtrack for the movie ‘The Master’ (Western LLC, 2012). The 2017/18 season includes recitals in the USA, Italy, Germany, and Bulgaria. As an art song pianist, she has collaborated in recital with singers from the Metropolitan Opera, Deutsche Oper Berlin, Greek National Opera, Lyric Opera of Chicago, Lithuanian National Opera, Calgary Opera, and the Boston Lyric Opera. She has presented master classes in China, the USA and Italy, and is featured this season with Duo au Courant partner, mezzo-soprano Stephanie Weiss, at the Berlin Art Song Festival. A debut ‘Duo au Courant’ recording entitled ‘Songs Sacred and Profane’ will be released in 2018. The Duo recently commissioned a large-scale art song project entitled “Passageway” which experiences the journey of immigrants into Europe through music and poetry by German composer Jonathan Stark. ​Dr. Wright-Ivanova has been the official pianist for the Metropolitan Opera Auditions and the NATS Auditions, and has frequently served as an adjudicator for piano and chamber music competitions. She has attended the Schubert-Institut in Baden-bei-Wien on a full scholarship from the Johann Strauss Foundation, and is a Britten-Pears Scholar (UK) and a Crear Fellow (Scotland) under the mentorship of Malcolm Martineau. As an opera pianist, she has worked with Boston Opera Collaborative, Commonwealth Lyric Theater in Boston, Handel & Haydn Society and the Pacific Opera Victoria (Canada). She has premiered over forty works by living composers and feels strongly about performing, teaching and promoting new music. She has performed both solo and collaborative new works in the Isabella Stewart Gardner Museum, Boston’s Museum of Fine Arts, The Harvard Club, Opera America (NY), New England Conservatory’s Jordan Hall, Tanglewood’s Ozawa Hall, Old North Meeting House, Clutch New Music series in Austin TX, NEXTET series, the NEON Festival in Las Vegas, and the Steve Reich Festival in Boston, where she worked with the composer. Recent international concert performances at the Berlin Art Song Festival, Teatro di Musica (Lake Como, Italy), Reaktorhalle (Munich, Germany), Humboldt University (Berlin), École Normale Supérieure (Lyon, France), Joanneumsviertel Museum (Graz, Austria), Amici della Musica Paisello Concert Hall (Lucera, Italy), and the Schloss Frohnburg (Salzburg). A chamber music CD recording with ‘Juventas New Music Ensemble’ entitled “Spectres” was recently released on New World Records, and a CD of new art songs by Daniel Carr is recorded on MSR Classics.